The new Reema Kagti-Zoya Akhtar Amazon prime Original — Made In Heaven — has proven to be quite the binge-watch, winning praise moreover for its tackling of hypocritical Indian social mores, depiction of homosexuality, and pitch-perfect casting, among other things. But what about the Indian wedding planning business itself? 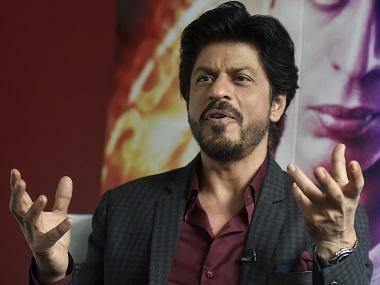 Made In Heaven's ensemble cast comprises many well-etched characters from different walks of life, but at the story's core are two young, up-and-coming wedding planners — Tara (Sobhita Dhulipala) and Karan (Arjun Mathur) — who run the titular agency in Delhi. Tara and Karan are different from two other wedding planners of our pop culture past, Band Baaja Baaraat's Bittoo and Shruti. Bittoo and Shruti were brash, and the Delhi they inhabited is a world removed from the one Made In Heaven caters to. If the nitty-gritty of wedding planning took a backseat to exploring Bittoo and Shruti's chemistry in Band Baaja..., then in Made In Heaven, the business is very much at the forefront. All of the highs and lows associated with planning a big, fat Indian wedding can and do crop up, and our protagonists must deal with them. 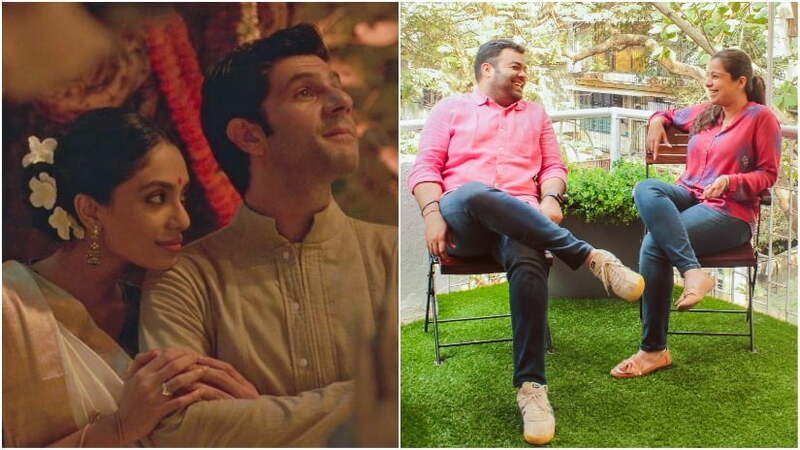 The weddings that Tara and Karan plan are extravagant, and the behind-the-scenes drama enlightening — but how much of it is based in truth? What does planning the weddings of the rich and famous entail? Tina Tharwani and Saurabh Malhotra of Shaadi Squad are uniquely placed to answer that question. Along with their partner Manoj Mittra, Tina and Saurabh helped put together one of the biggest celebrity weddings of 2017 — the Virat Kohli-Anushka Sharma nuptials in Tuscany. Not only was the Kohli-Sharma wedding the last word in luxury (it was held at the Borgo Finocchieto retreat, where a week's stay costs just under Rs 1 crore) it was also conducted in utmost secrecy, with not a word of the event being leaked to the world at large until after the couple posted the first images of themselves as bride and groom on their social media handles. "The people responsible for making the most memorable occasion of our lives peaceful and beyond beautiful — our lovely wedding planners," Kohli captioned a picture of himself and Anushka with the Shaadi Squad team. 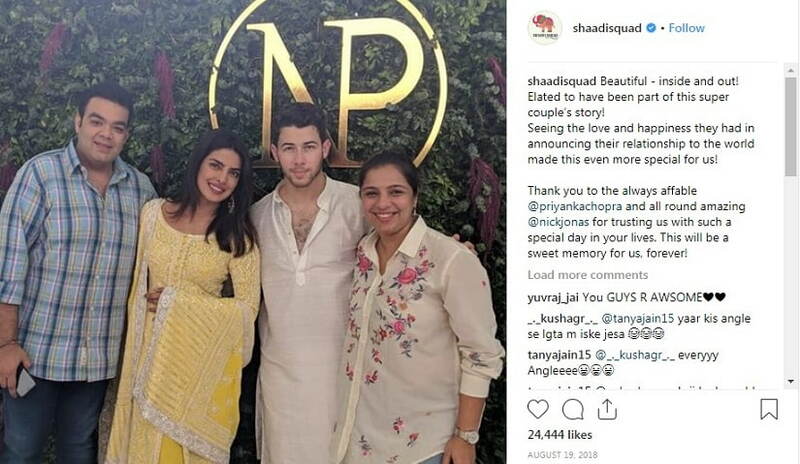 In 2018, Shaadi Squad also planned the Mumbai roka ceremony for Priyanka Chopra and Nick Jonas. So what did Shaadi Squad's Tina and Saurabh think of Tara, Karan and Made In Heaven? Their verdict: The aspects of the wedding industry covered by Made In Heaven “are pretty accurate — albeit hyperbolic”. Other pluses for Tina: Made in Heaven's "vivid portrayal of the innate chaos as well as the emotional angle [sic]" of the wedding planning industry. Tara and Karan get a ringside view of the best and worst of human behaviour as they go about planning the weddings of their clients’ dreams. Tina and Saurabh agree that wedding planners get an insightful glimpse into their clients’ psyches in the course of their work. “As wedding planners, we are in constant communication with the couple and their families, and that level of proximity over large amounts of time does grant us a perspective of human behaviour. After all, managing people and their expectations comprises a huge part of our jobs, and when it comes to that, analysing and predicting their behaviour comes naturally to us. We see them at their enthusiastic best as well as in their most anxious and stressed-out phases, and we learn how to deal with each over the time. For us, the barometer to gauge whether the wedding was a success depends heavily on the vibe created throughout the process, in each ceremony and among each family member, relative, friend, and acquaintance,” says Saurabh. Tina and Saurabh are quick to assert that Shaadi Squad hasn't had to deal with any untoward incidents a la Tara and Karan in Made In Heaven. “Small hiccoughs here and there are not uncommon, but there’s never been any glaringly awful situation ever!” Tina says. While the wonderfully festive atmosphere of an Indian wedding — along with its attendant rituals and family involvement — makes these events distinctive, it also throws up certain challenges for those in the business of planning them. Saurabh and Tina say that the Shaadi Squad team’s role often goes beyond that of being event managers to “people and expectation managers”. At the same time, as planners, they revel in the fact that the scale of Indian weddings and their informal, familial air make for such an unparalleled experience. They're indeed, being made in heaven.